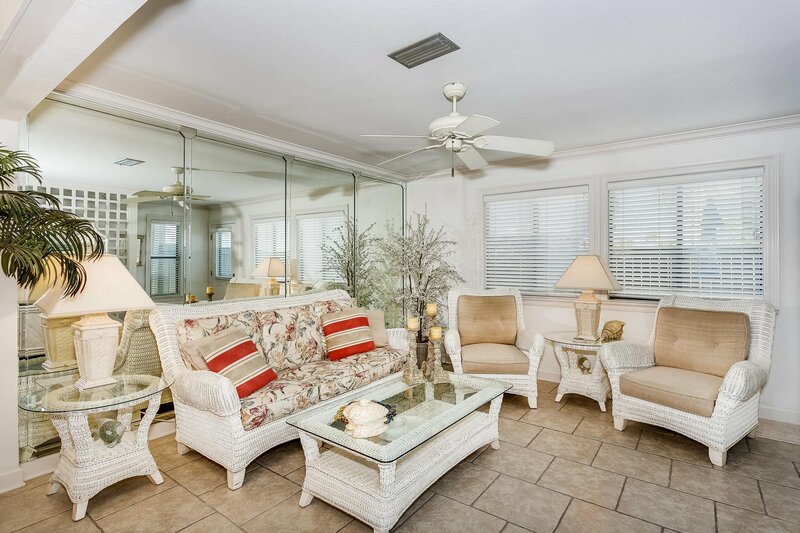 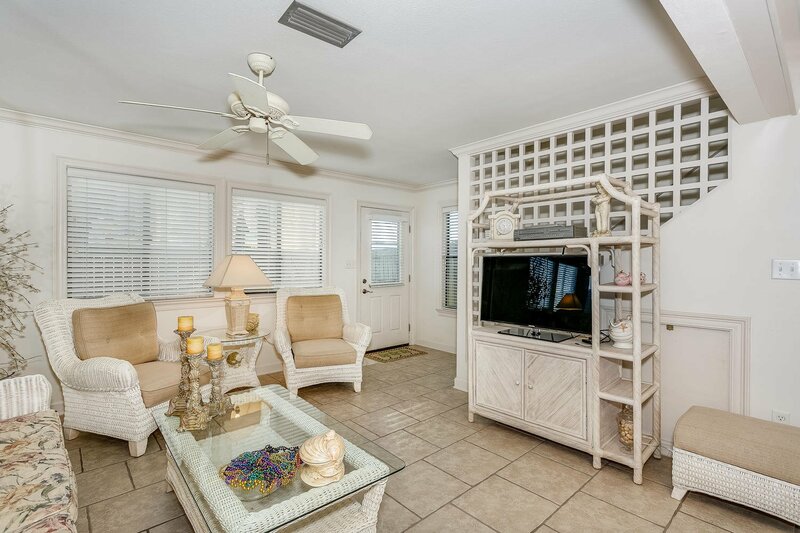 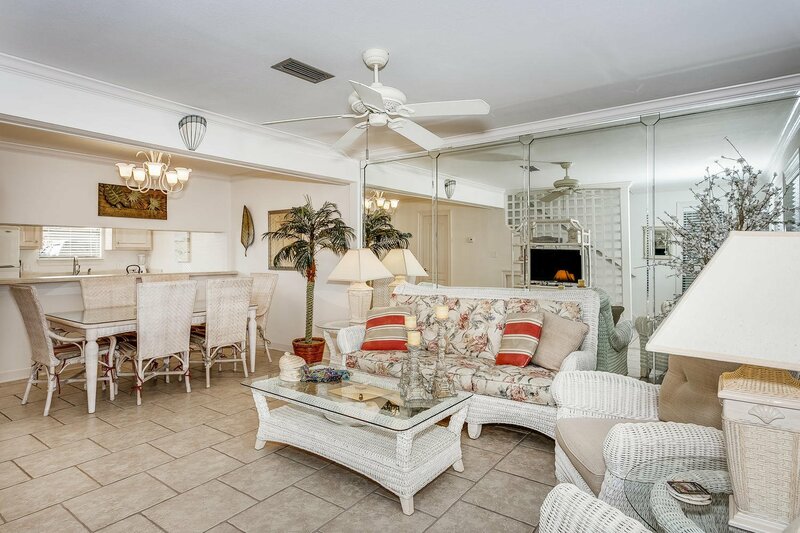 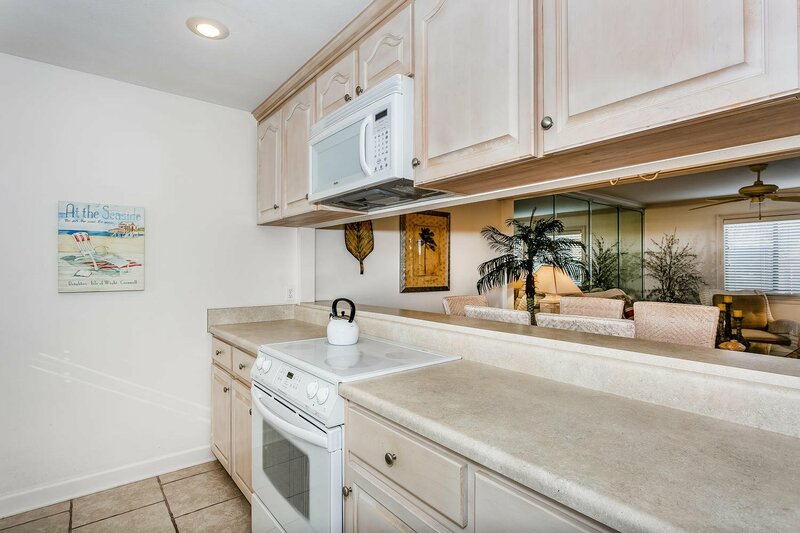 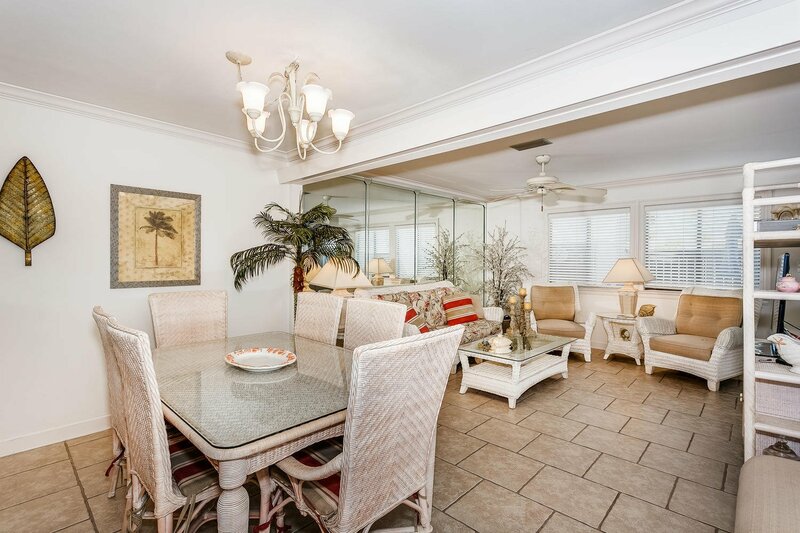 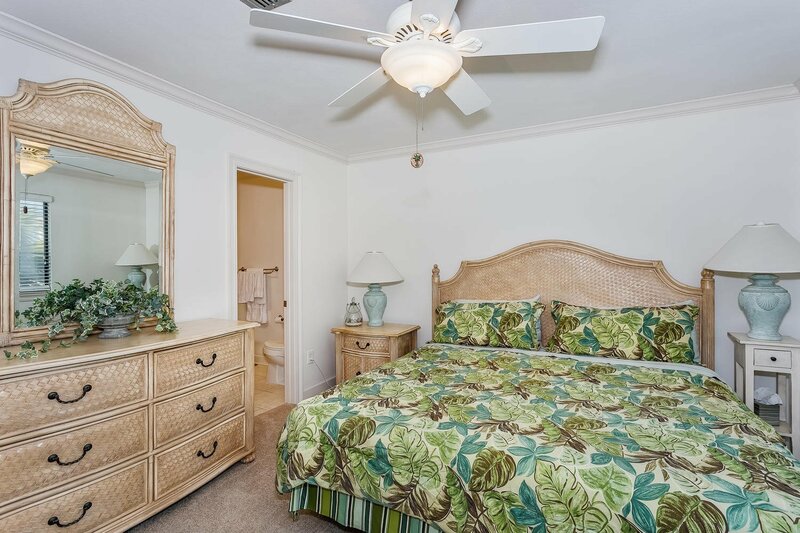 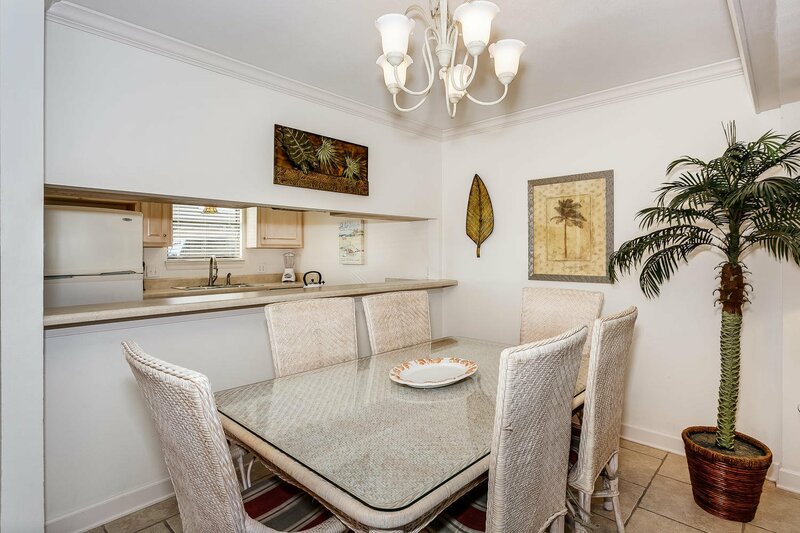 Meticulously maintained 2 bedroom 2 1/2 bath townhouse in a gulf front community. 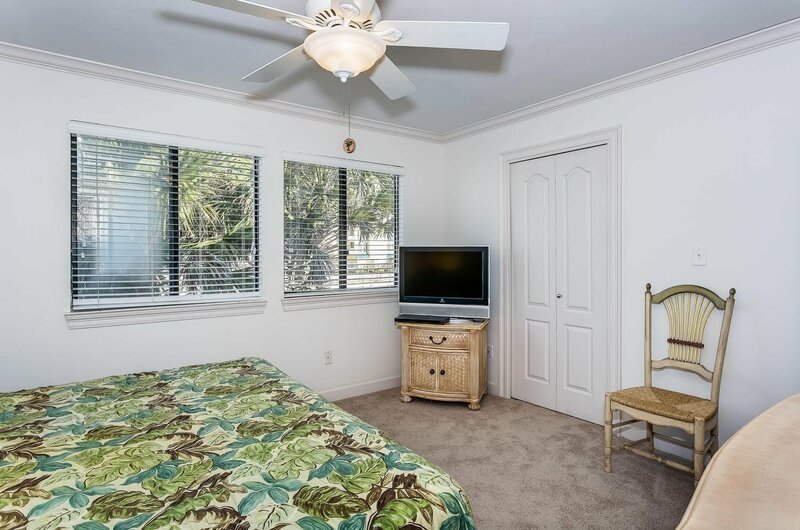 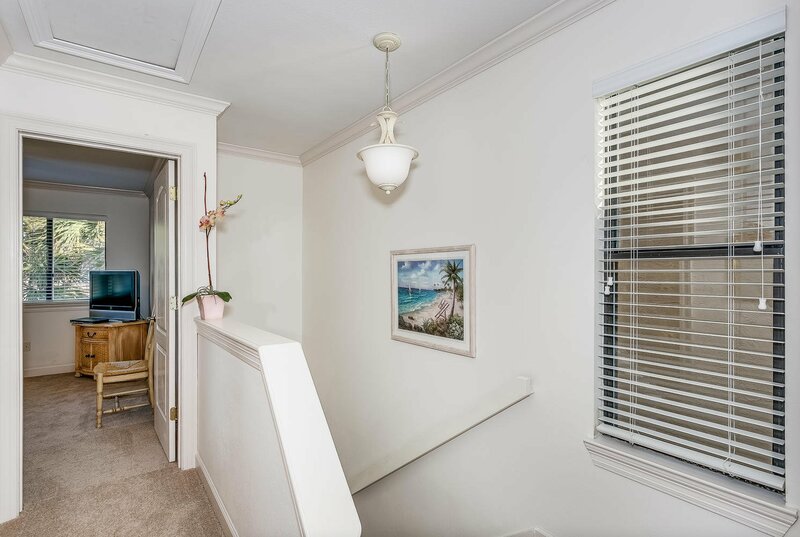 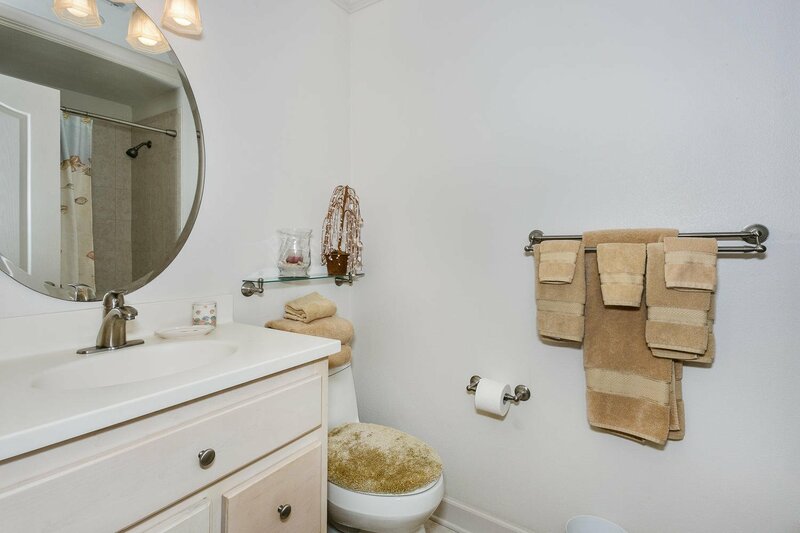 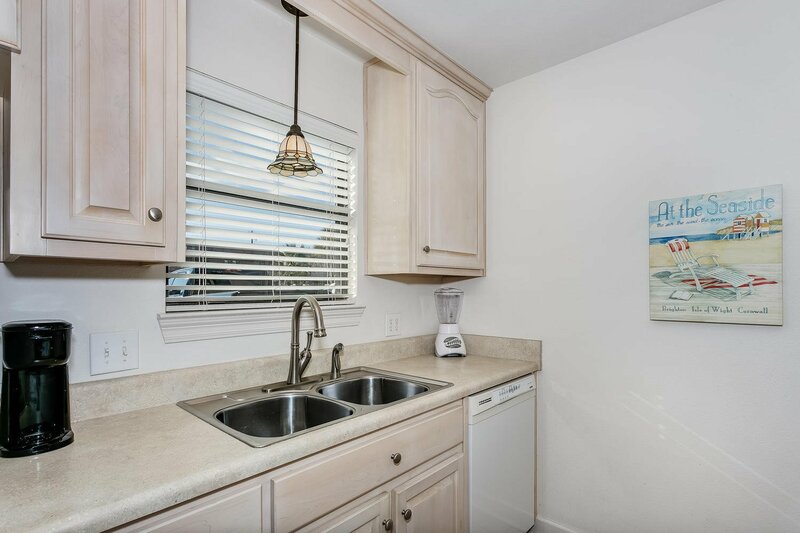 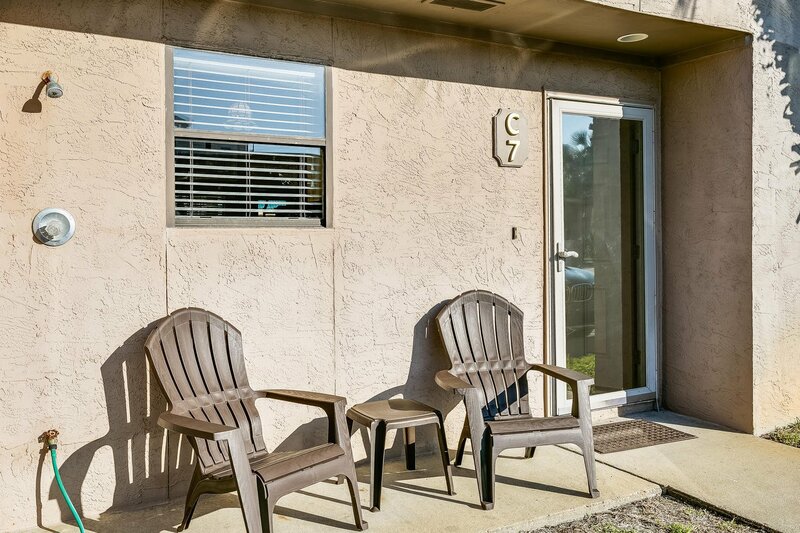 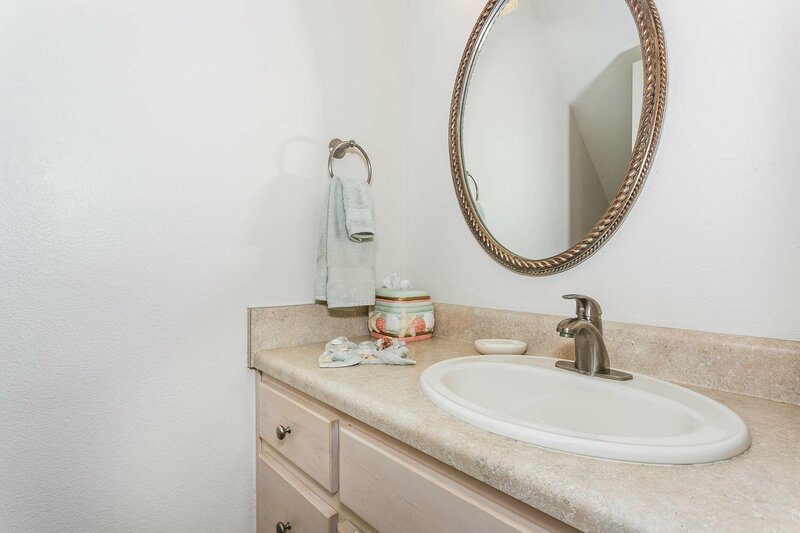 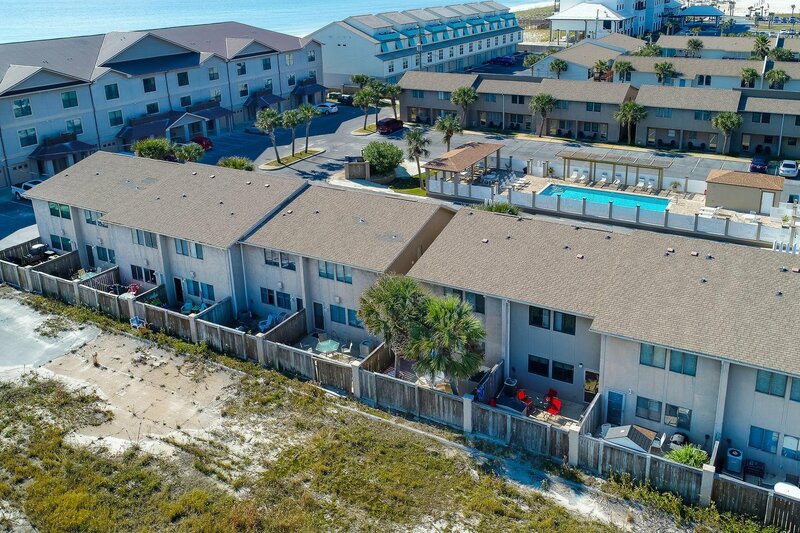 This fully furnished end unit town home features extra windows on side for more natural light, newly installed carpet upstairs, extra large patio with two palm trees, new shed, two outside warm water showers, and two gates. 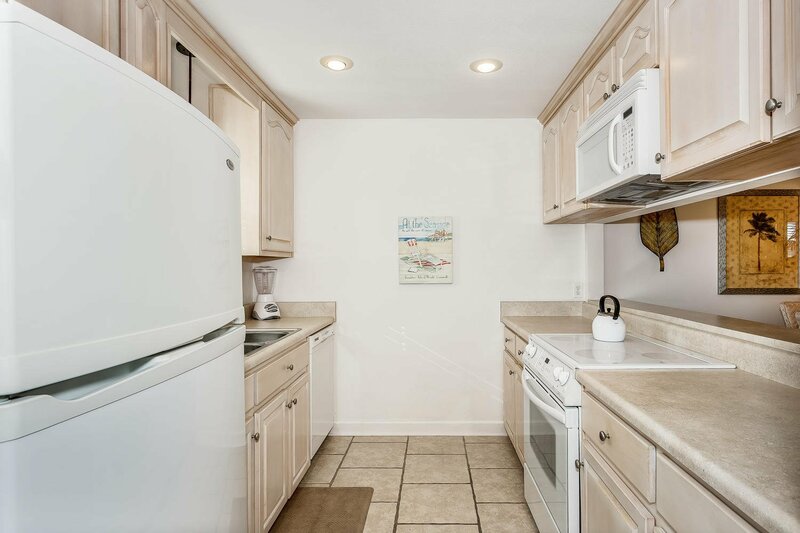 Kitchen includes solid wood cabinets, extra large walk in pantry, and everything needed for cooking. 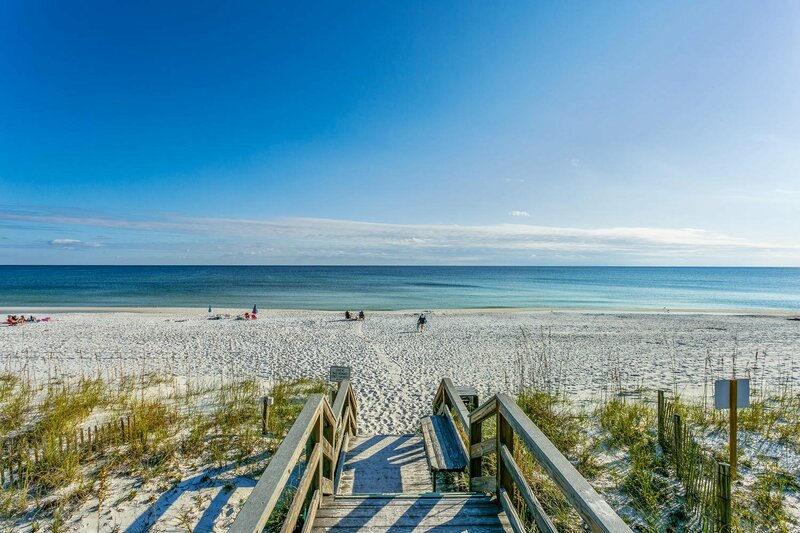 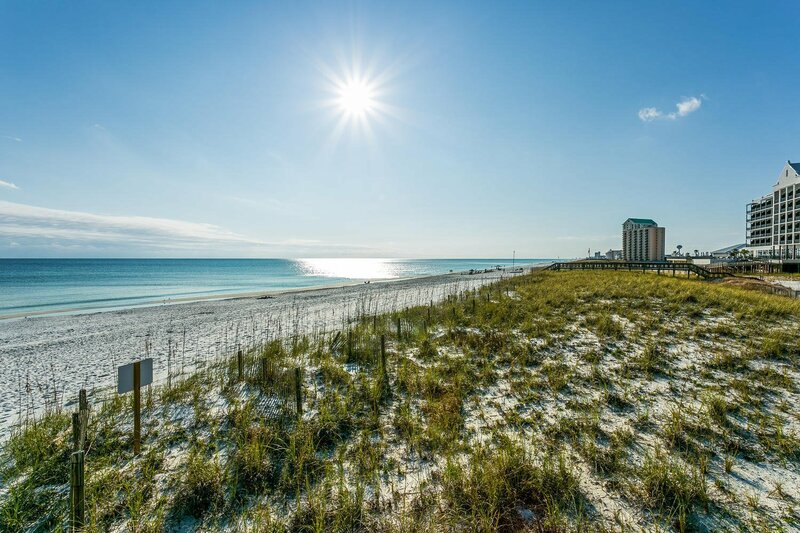 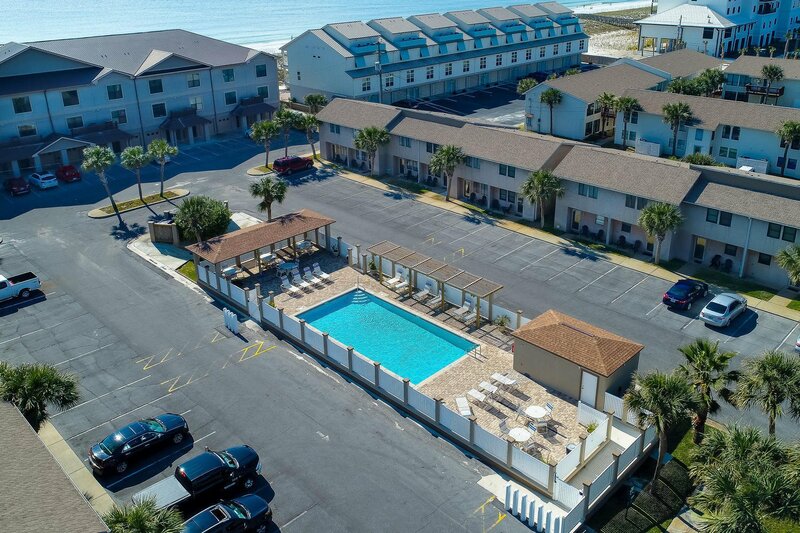 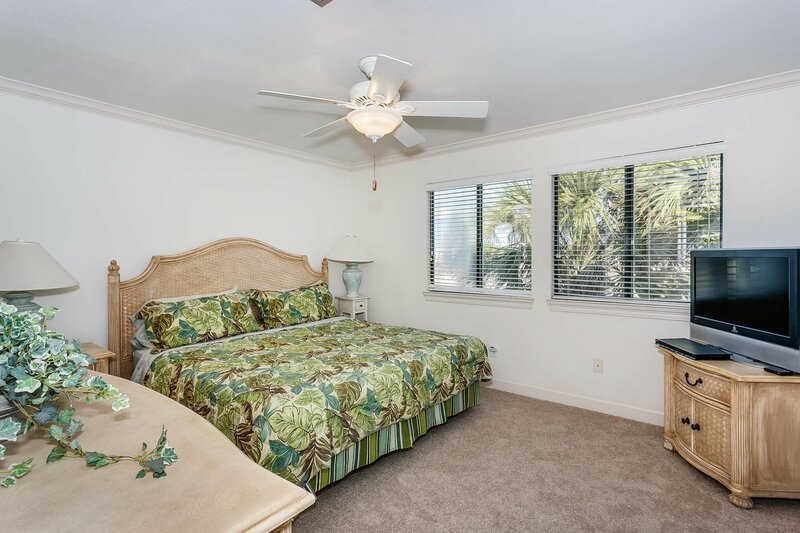 Wake up every morning to views of the Gulf Of Mexico from the master bedroom. 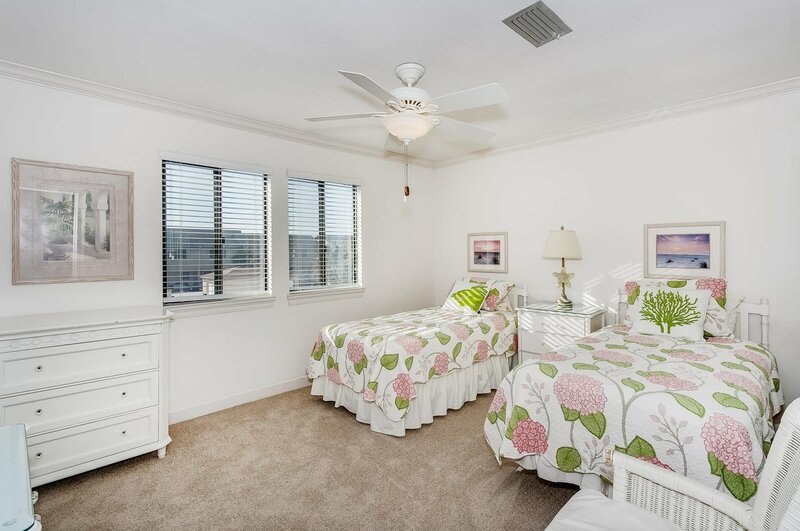 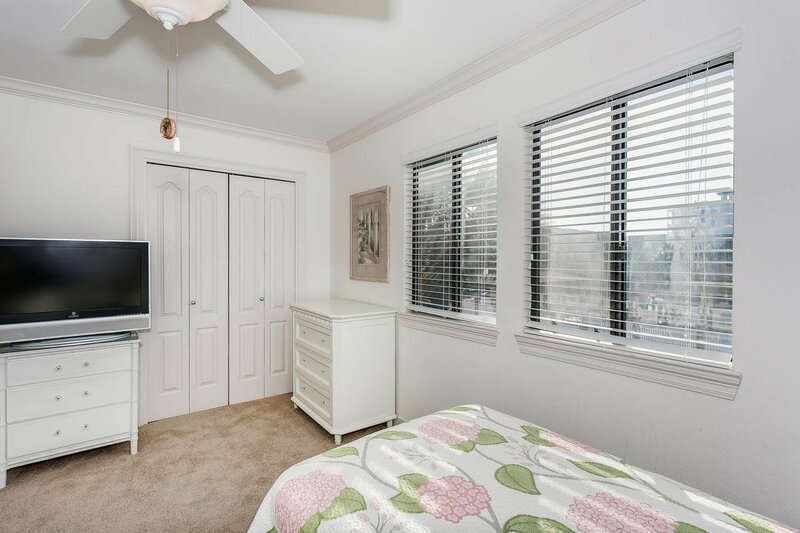 Master bedroom has over sized walk in closet and on suite. 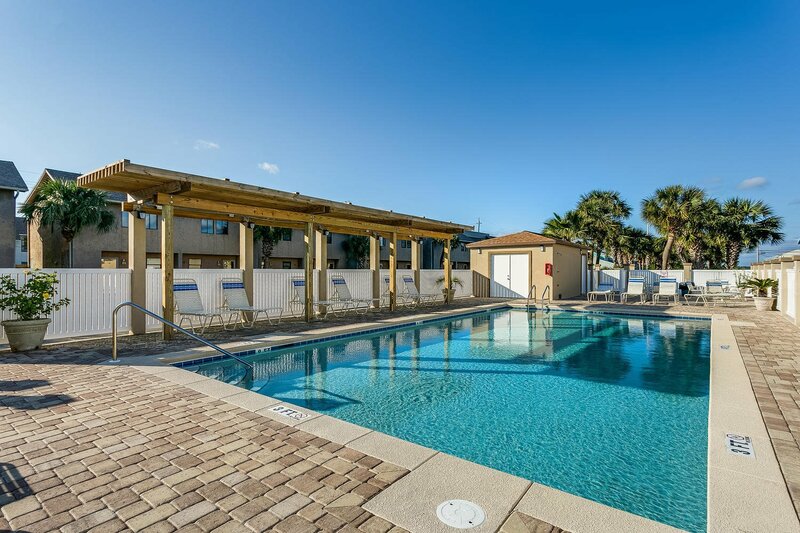 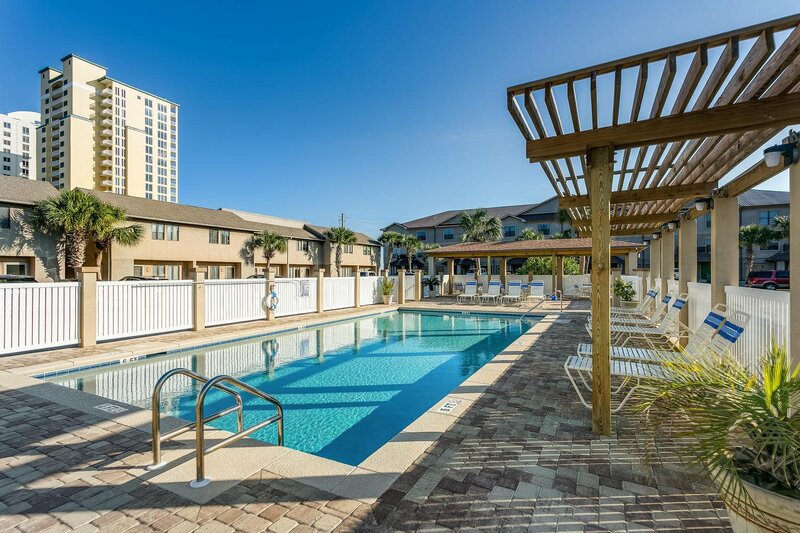 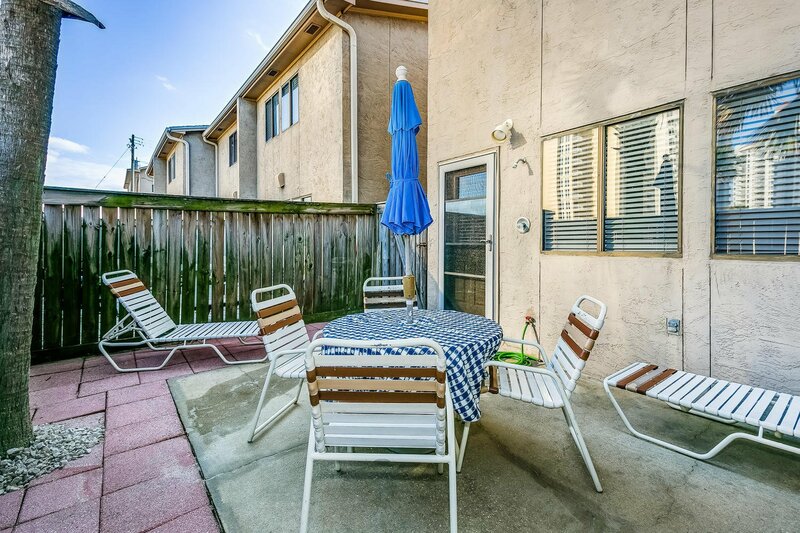 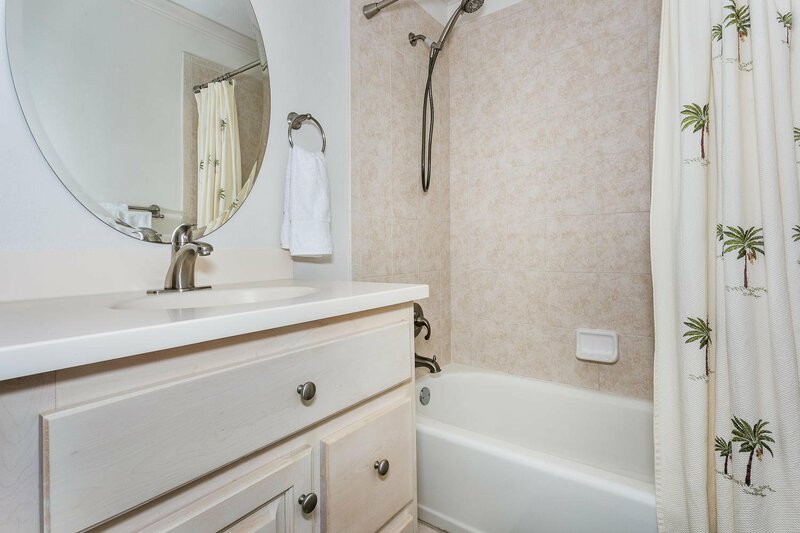 Enjoy the newly updated heated pool area right across from this townhouse. 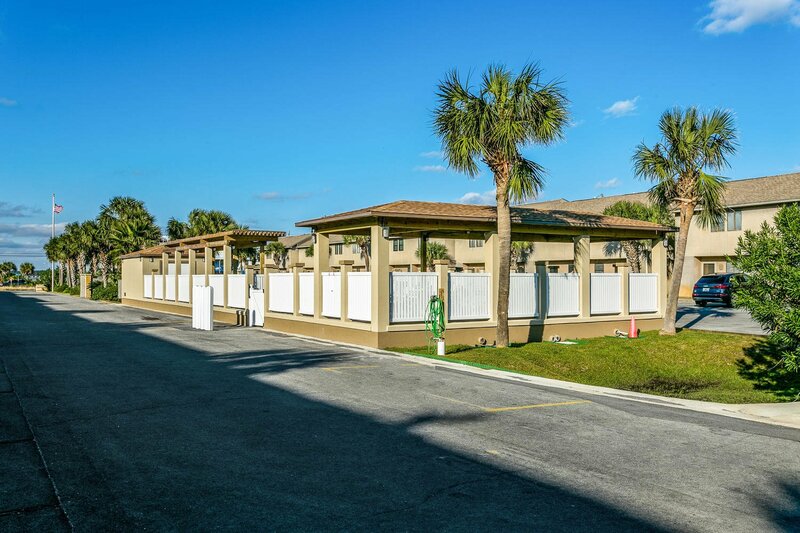 Pool was updated this year with new paver patio, new gazebo, and pergola. 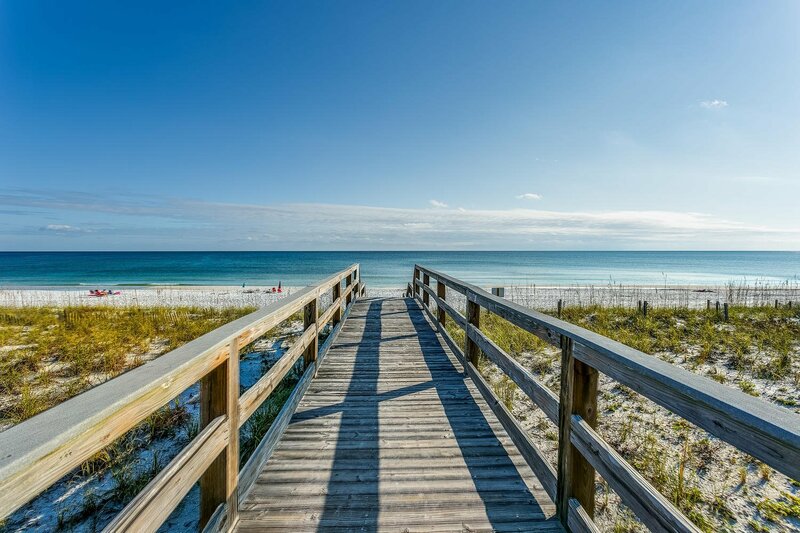 Complex also has a newly installed private beach walk over. 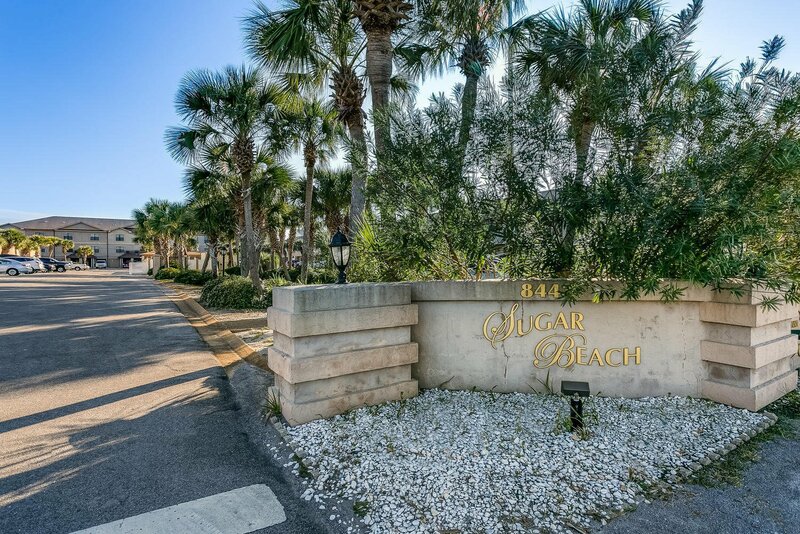 Buyers financing fell thru-now is your chance. 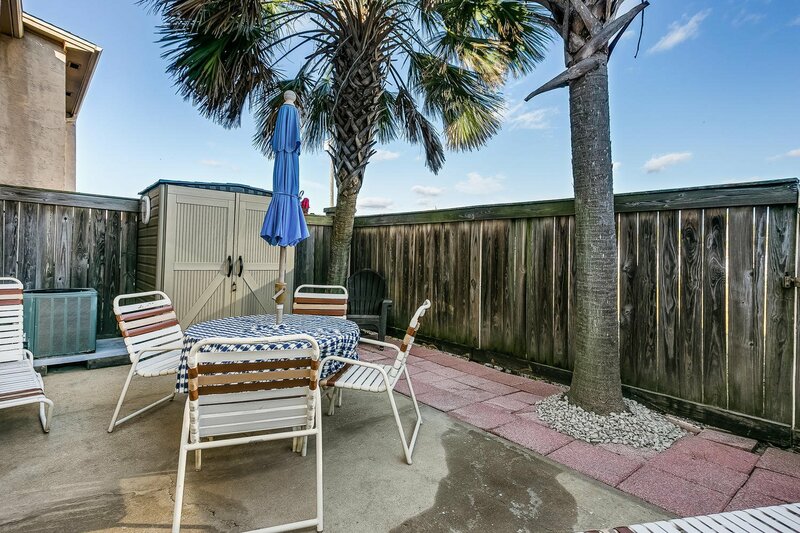 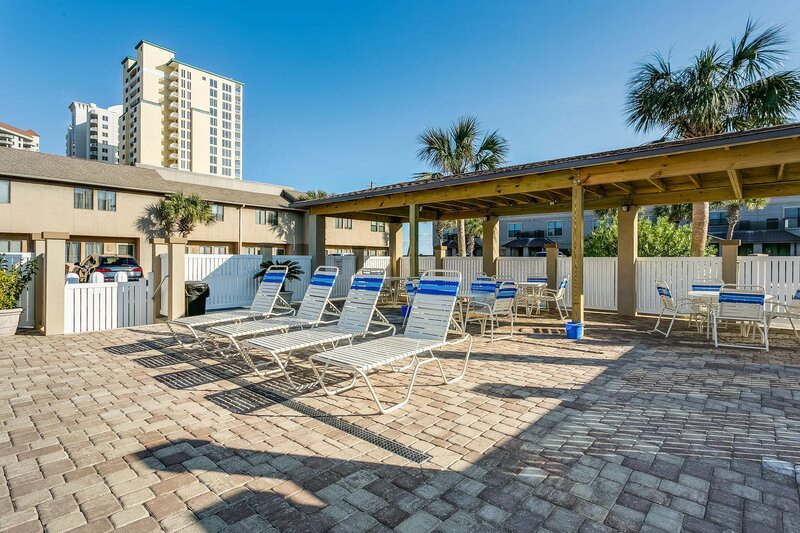 Don't miss your opportunity own your piece of Paradise make your appointment today! 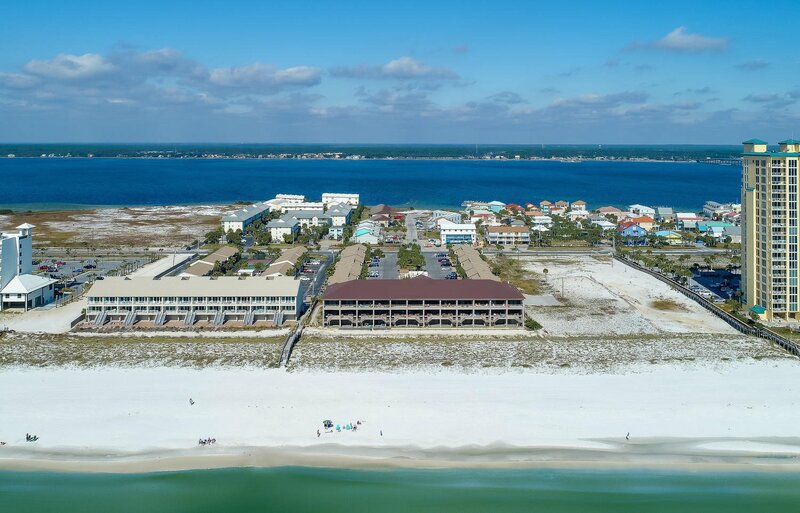 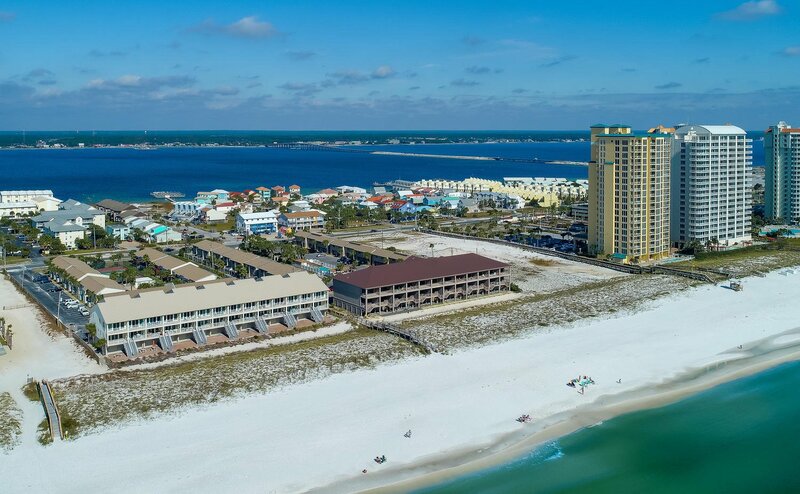 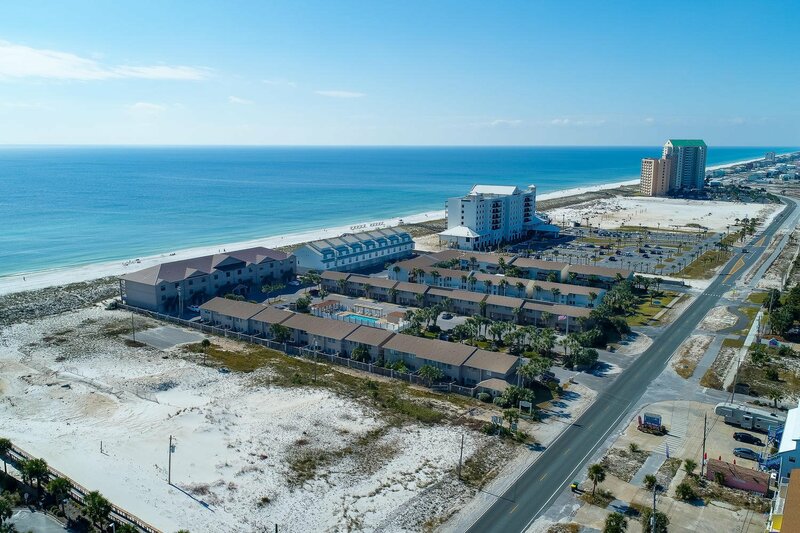 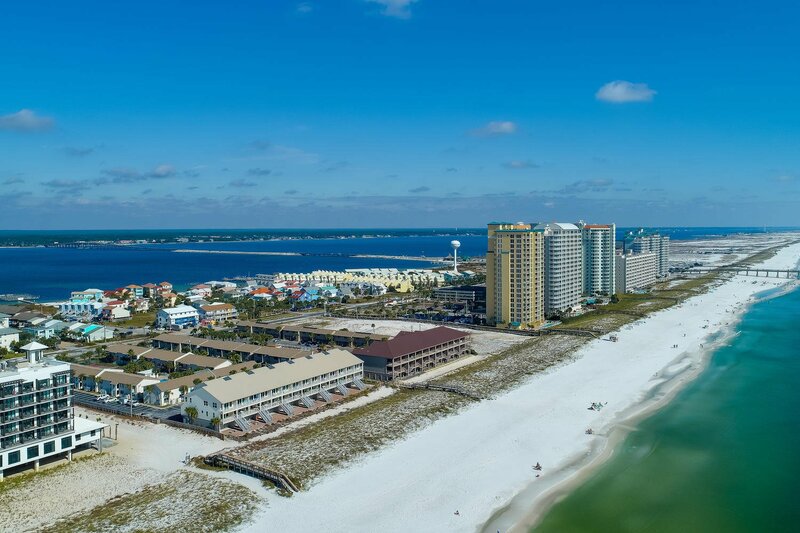 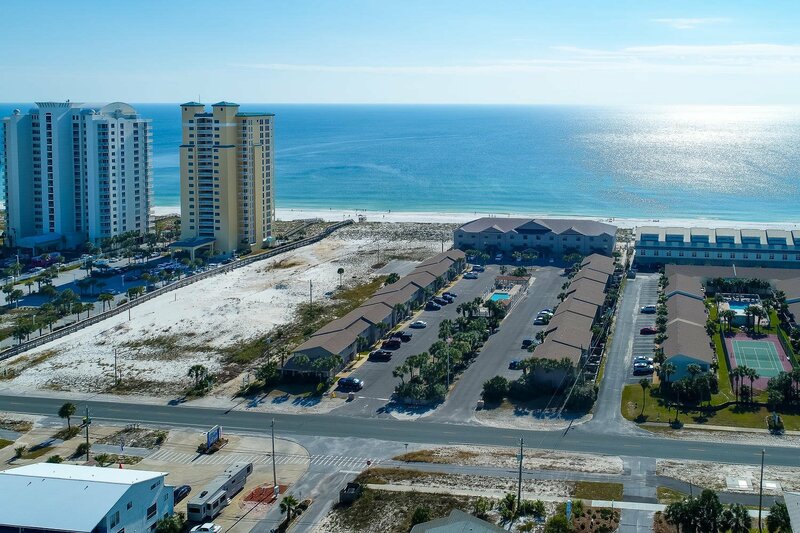 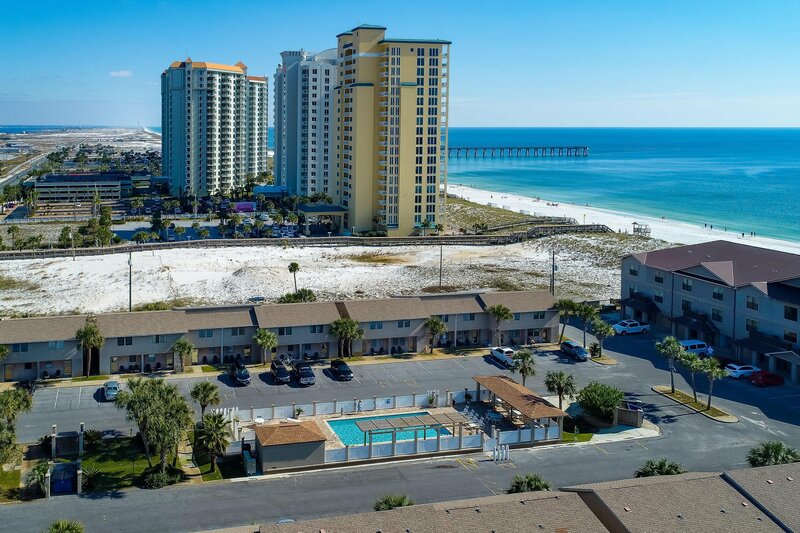 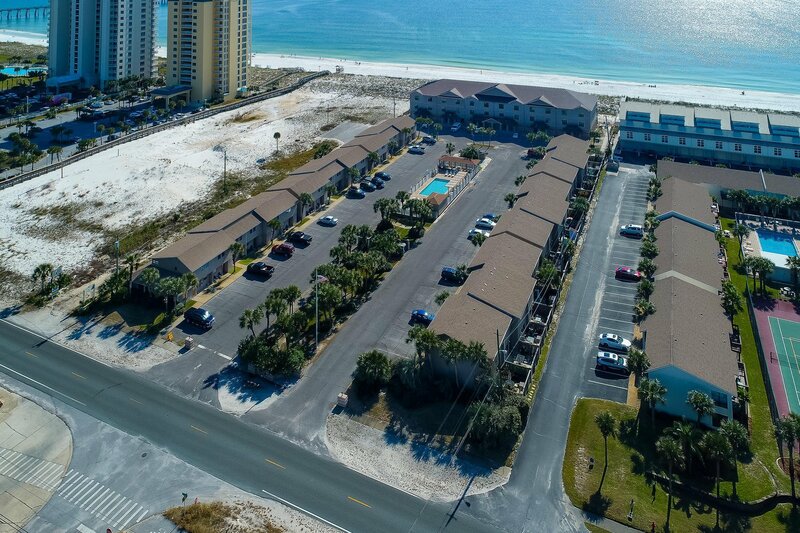 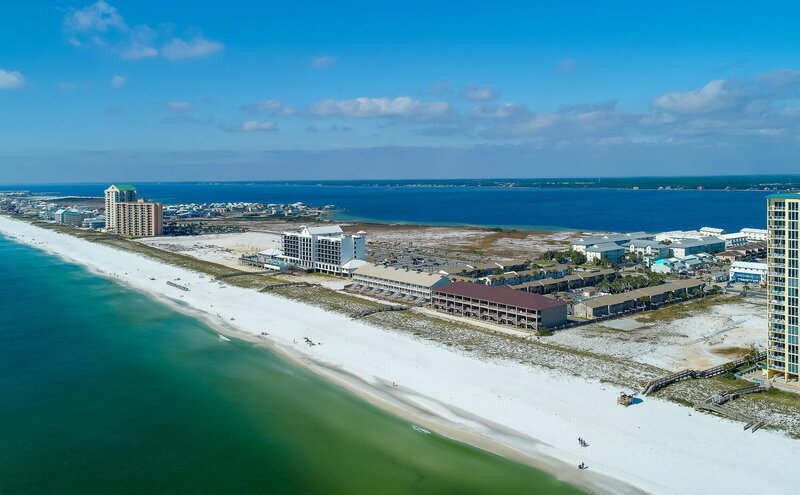 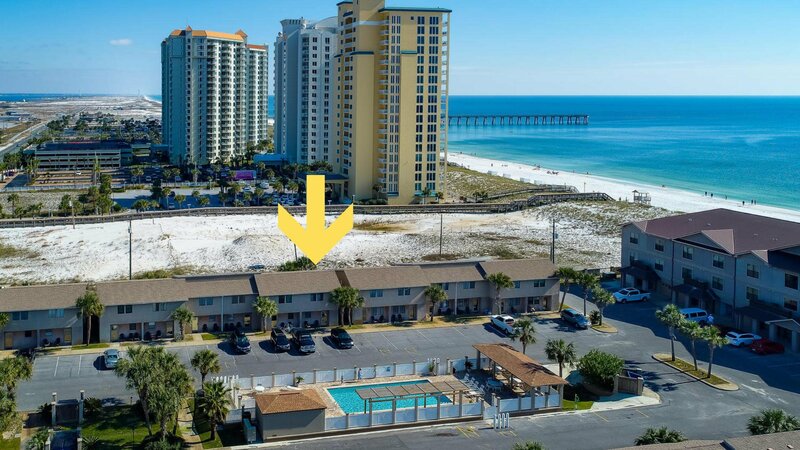 Listing courtesy of Emerald Coast Realty Pros Inc.